Overview: Ad-free version of Launcher 7. 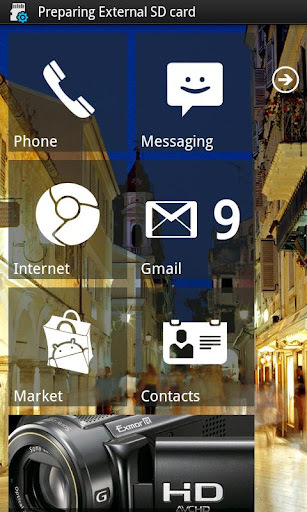 The Winphone 7 lookalike launcher, almost like the real thing and in some ways even better! - To add new application to main screen, long press on an application in application drawer and select "pin to home screen"
- All bitmaps must fit inside 48 megabyte heap (high-end phones, lower-end phones even less than that), so don't try to use too many 25 megabyte bitmaps on your tiles or you will see FC. - "Smaller tiles" will make 1x1 tile to 172x172 pixels in HDPI resolution. I managed to measure the tiles wrong when I started developing L7 and tiles have been too big ever since. 172x172 tiles seem to be faster too, so I suggest you to try them! 0 Komentar untuk "Launcher 7 - Donate v1.1.9.2 apk"